The thinnest, softest, waterproof gel liner. Encapsulated in a 1.5 mm mechanical pencil, this liner offers precision accuracy and ease of application. No pot, no brush, no clean-up required. Just two clicks and one stroke creates dramatic definition that resists transfer for extended wear. Available in 5 shades. The unique formula, poured into a slim mechanical component, has the malleability, intensity and staying power of a traditional gel liner. No pot, no brush, no clean-up required. The precision 1.5MM tip ensures effortless control, and allows for tightlining in between lashes. 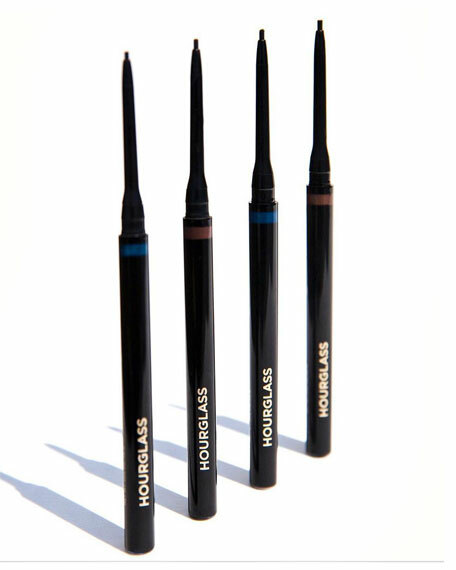 The combination of the advanced gel formula and the fine tip is unique to Hourglass. The tip is one of the smallest on the market. Only dispense product as neededmechanical pencil does not retract.